An Osprey lingering at Wykeham South Lake for 20 minutes before leaving north at 11.40hrs was the highlight of the day, also present there were the Egyptian Geese and a Hobby. On Potter Brompton Carr (no general access) there were 4 Shelduck, the adult Whooper Swan, 2 Cream Crown Marsh Harrier, 3 Greenshank, 2 Redshank, a Spotted Flycatcher and 2 Garden Warbler, a Common Sandpiper was on Johnson's Marsh and the pair of Shelduck were still on Scalby Lodge Pond but only 4 young remained. Passage along the coast was very slow indeed, heading south (unless stated) at Long Nab were 3 Lapwing, 3 Swift + 1 north, 1 Flava, 26 Swallow, 1 House Martin, 1 Sand Martin and 12 Carrion Crow. 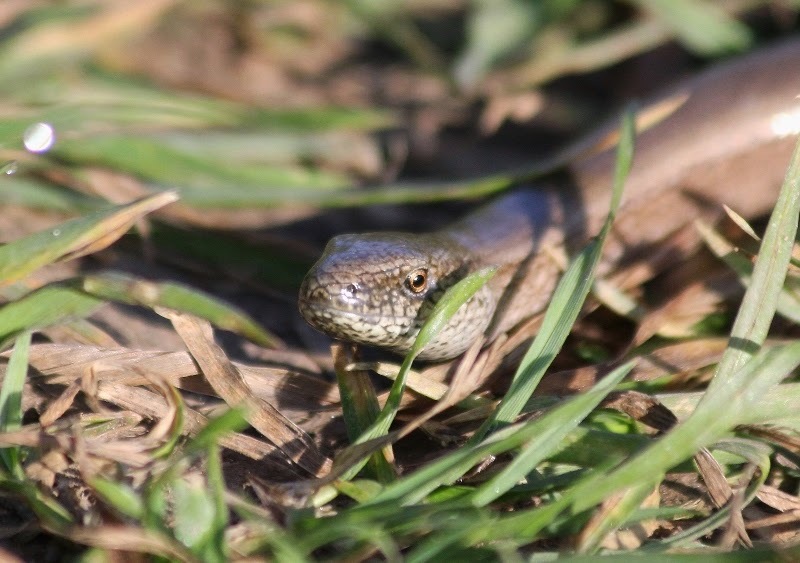 A good record for Long Nab was a Slow Worm along the Cleveland Way just north of the Hut.